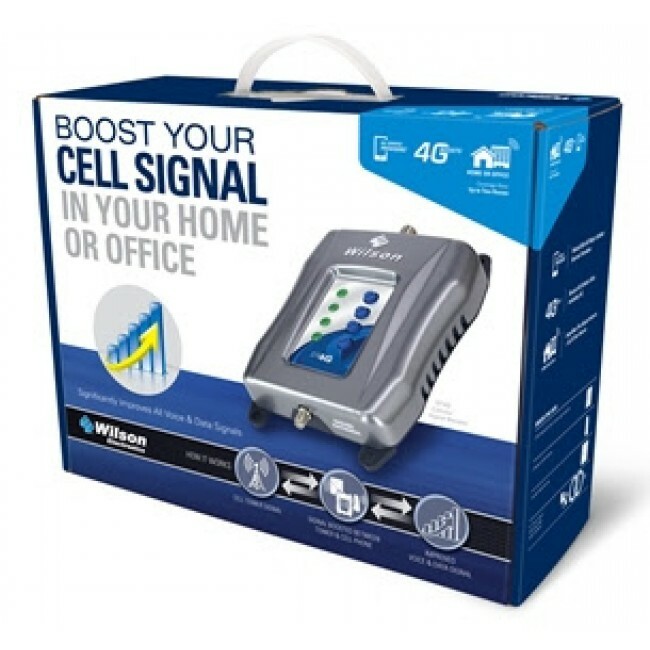 The Wilson DT4G has been discontinued and replaced by the new and improved weBoost 470101 Home 4G Signal Booster Kit. 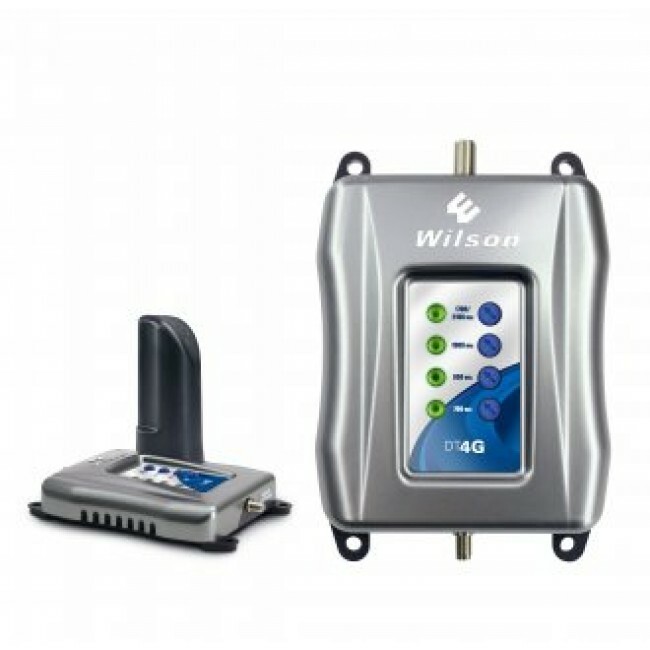 The Wilson 460101 DT 4G Kit from Wilson Electronics is the first 5-Band Home and Small Office signal booster that will work for all carrier's Voice, 3G, and 4G LTE networks. 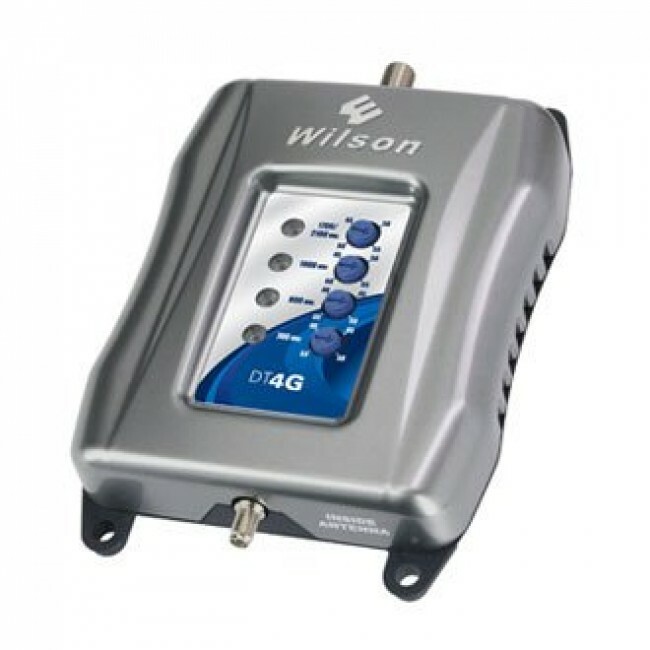 * The DT4G features a 60 dB amplifier that can cover multiple rooms if you have a strong existing outside signal. 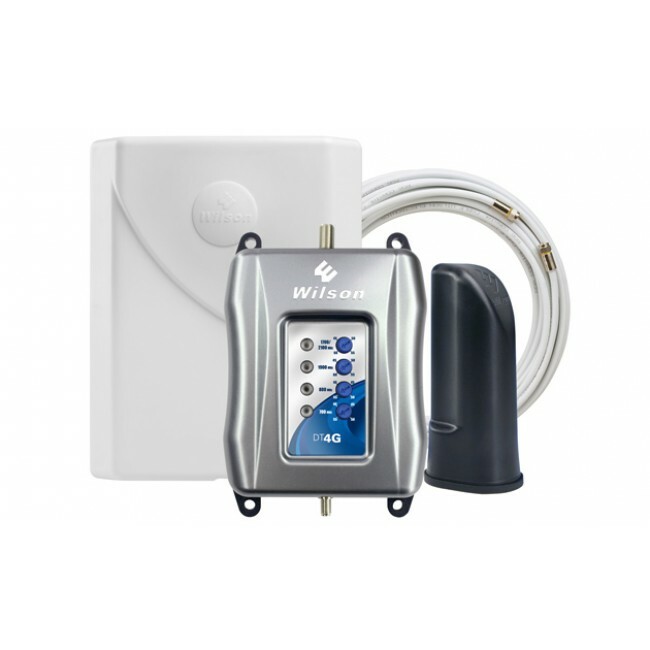 It's also one of the most versatile signal boosters with an "outside" antenna that can be mounted to the inside of a window, making it perfect for apartments, condos, and dorm rooms, or the antenna can be mounted outside on a pole for the best performance. 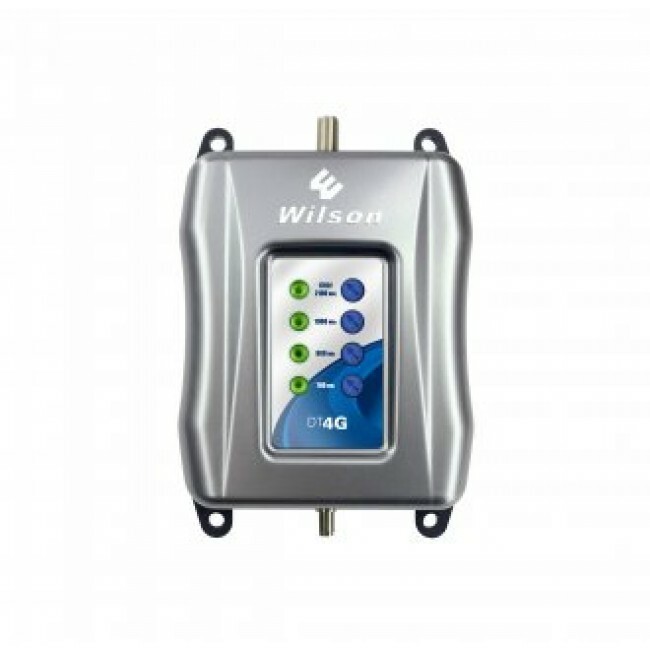 The DT4G is the most affordable signal booster that can boost multiple 4G LTE networks in addition to the previous 2G and 3G networks. 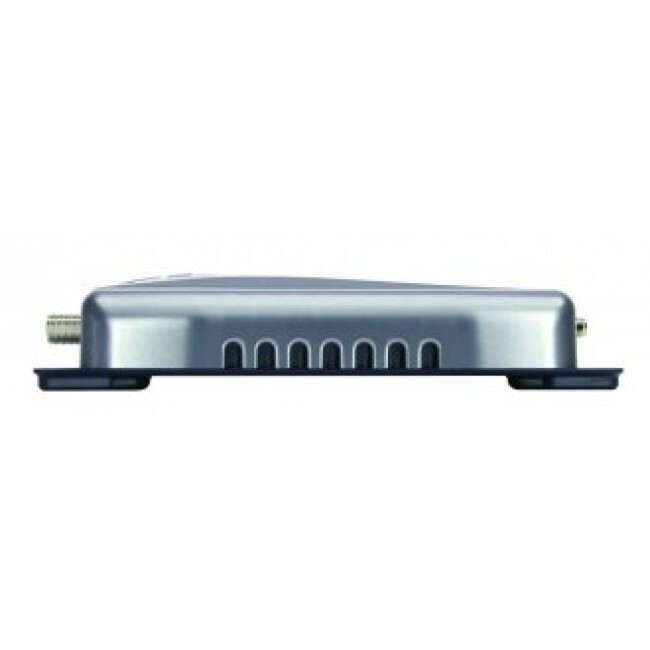 The DT4G is designed to cover a small inside area. 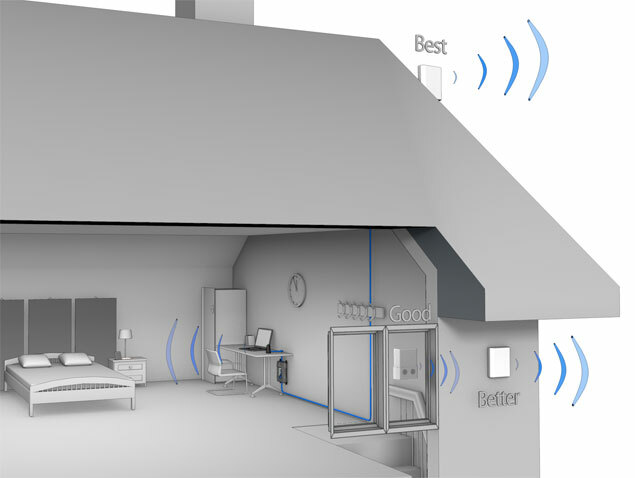 Depending on where you mount the outside antenna and the strength of your existing signal, it may be possible to cover multiple rooms from the DT4G. However, most installations will only cover one or two small rooms with a boosted signal. 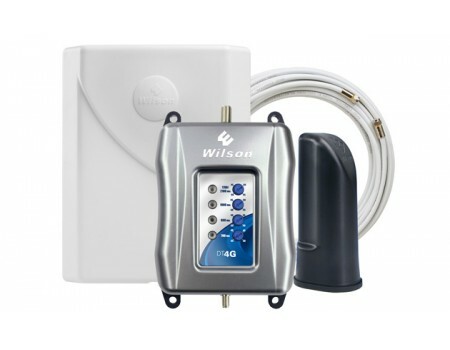 The Wilson DT4G has three different installation options for mounting the window mount panel antenna. The easiest option is to mount the panel antenna using the included suction cups to the inside of an external window. This is by far the most convenient, but also produces the smallest coverage area from the system. The next option is to mount it on a wall outside of the building, which will give you more coverage, but also requires you to run a cable into the building. Finally, the last option is to install the panel antenna on a pole on the roof of the building. This installation option will give you the best coverage, but requires you to install a vertical pole on the roof and aim the panel antenna. If you've purchased a lighting surge protector, then conncect that now to the RG6 cable, and then connect the 2ft cable to the "Outside Antenna" port of the amplifier, otherwise directly connect the outside cable to the "Outside Antenna" port. To the inside of the amplifier, attach the cable that is connected to the inside tower antenna, and locate the tower antenna on a desk or table facing towards the area that needs boosted signal. Once all of the components are connected, power on the amplifier by plugging it in. As it's powering up, you should see the lights flashing, and then check to see that they turn solid green. If they are blinking or are any other color than green, you'll need to troubleshoot the setup by consulting the manual or contact us for help.